It’s like MiddleEasy but for your ears. Thanks to comedians Dan LaMorte, Luke Touma and Diego Lopez episode 28 of MiddleEasy Fight Fist Podcast is here. Hey Fisters, we are back with a great interview. This week the whole Fight Fist Crew was lucky enough to sit down with NABF & WBC International Featherweight Champion, Heather Hardy. This was a cool interview setting, recorded inside the legendary Gleason’s Boxing Gym in Brooklyn. 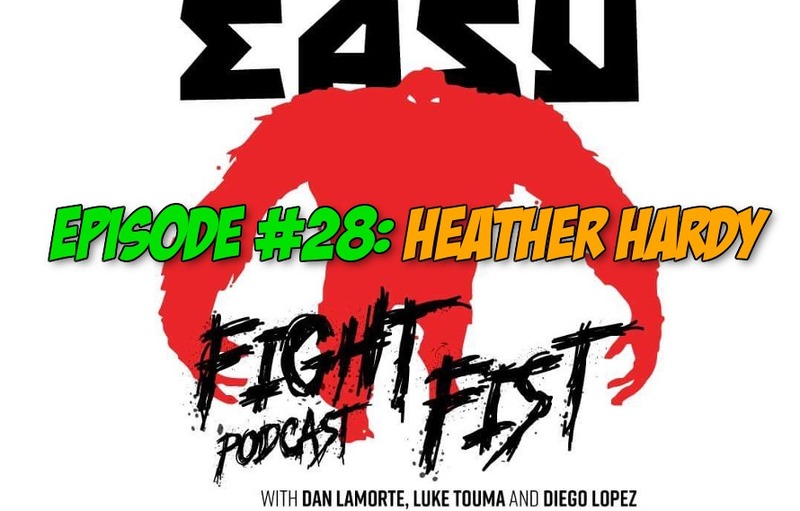 We talked to Heather about what it’s like to join the fight game later in life, overcoming adversity, silencing the critics, her quick rise in the boxing world, transitioning to MMA, her street hustle to get fans in the seats and so much more. We really hope you guys will enjoy this as much as we did. Previous articleReport: How did the UFC really convince Nate Diaz to fight Dustin Poirier?